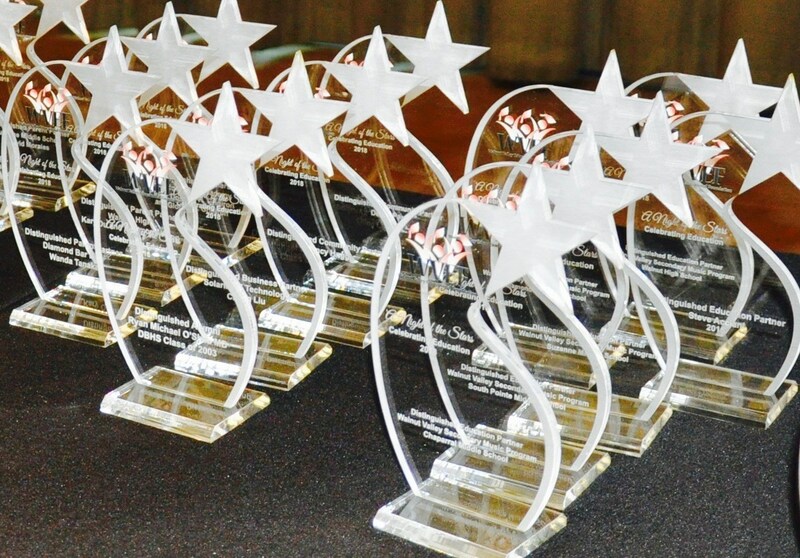 WALNUT, CA-- A stellar group of Walnut Valley Unified School District volunteers and community members were honored during the A Night of the Stars gala held April 26 at the Diamond Bar Center. 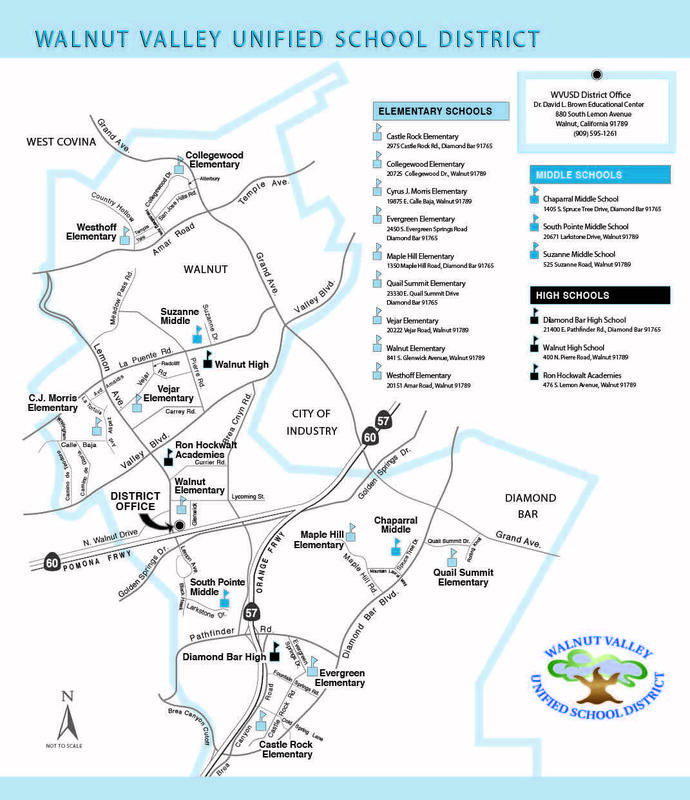 The 4th bi-annual event, sponsored by the Walnut Valley Educational Foundation, lauded exemplary parents, alumni, business, education, leadership, and service partners. “It is an honor having the opportunity to celebrate so many wonderful people tonight,” said Superintendent Dr. Robert Taylor. Distinguished parent partner awards were presented to Mike Ramirez – Castle Rock Elementary, Karen Motus – Cyrus J. Morris Elementary, Betsy Castellano – Collegewood Elementary, Ling Yeung– Evergreen Elementary, Richard Nakama - Quail Summit Elementary, Carolyne Morris – Maple Hill Elementary, Melissa Hanson – Vejar Elementary, April Alvarado – Walnut Elementary, Melinda Powell – Westhoff Elementary, Terri Lotto, Carrie Cheng, Ray and Carol Gonzales – Chaparral Middle School, Gordon Mize – South Pointe Middle School, David Morales – Suzanne Middle School, Wanda Tanaka – Diamond Bar High, Pastor Donald R. Gridiron and Gloria G. Gridiron – Ron Hockwalt Academies, and Raymond and Kary Wong – Walnut High. Distinguished partner awards were presented to Ryan O’Shea MD, Diamond Bar High Class of 2003 - Alumni, SolarMAX Technology, Ching Liu - Business Partner, Nancy Hogg and Denis Paul - Community Partners, Walnut Valley Secondary Music Programs: Diamond Bar and Walnut High Schools, Chaparral, South Pointe, and Suzanne Middle Schools – Education Partners, Walnut Valley Financing Corporation - Leadership Partner, and Walnut Valley Kiwanis Club - Service Partner. 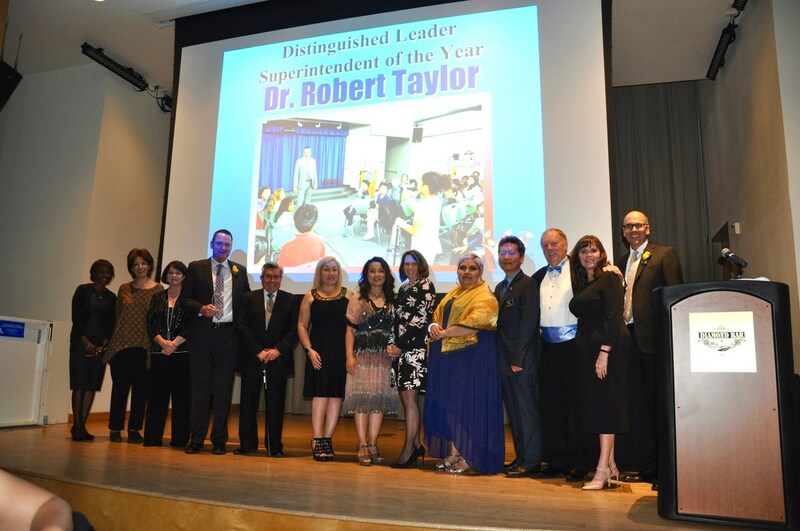 “After hearing all the accomplishments shared about our honorees, the term ‘it takes a village’ is truly felt here,” said Board President Cindy Ruiz, who emceed the presentations with Deputy Superintendent Dr. Matthew Witmer. The celebration of education also featured music by the Diamond Bar High Commercial Music Program. The Kenneth Goodson Memorial Scholarship was introduced in honor of the Assistant Superintendent of Business Services who passed away in February. 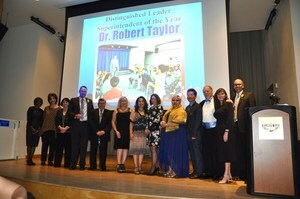 The event concluded with a surprise Distinguished Leader recognition for Dr. Taylor as Superintendent of the Year. “I can’t tell you how long we’ve kept this a secret!” Ruiz added. “It took all these people on stage to come together, including the School Board, Employee Associations, Parent Organizations, and Educational Foundation to pull this off!” Ruiz said. Star parents were honored for generously giving their time and talents to benefit students and schools. Three years ago, Cyrus J. Morris Elementary honoree and school alumnus Karen Motus was motivated to spearhead and lead a Science Olympiad team because her children, Kaylee and Alonzo, love science. “I stayed on as coach because I have been surrounded by students, faculty, and families who enjoy learning about STEAM and the importance of teamwork!” she said. April Alvarado has been involved in every event at Walnut Elementary during the past seven years. She volunteers to be a room parent for classrooms when they don’t have one – even though her children aren’t in that class. “She never hesitates to help,” lauded Principal Robert Chang. Chaparral Middle School band booster parents Terri Lotto, Carrie Cheng, Ray and Carol Gonzales were honored successfully fundraising over $20,000 this year to support out-of-state competitions. They arrive daily to stock, catalog, and sell snacks from the after-school band store. “The contributions of these three families represent the commitment of this wonderful group of supporters to music, and to the Chaparral band program!” said Principal Ron Thibodeaux. Rich Nakama volunteers in the Quail Summit Elementary library, virtual desktop (VDI) lab, playground area, and is the logistics person for the Carnival. “Rich is always the first to arrive and last to leave!” said Principal Frances Weissenberger. Westhoff Elementary parent Melinda Powell honored for being instrumental in bringing new activities and successful activities to the school. Shown with WVEF President Bob Pacheco. 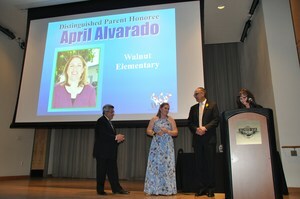 Walnut Elementary parent volunteer April Alvarado receives Distinguished Parent Partner Award. 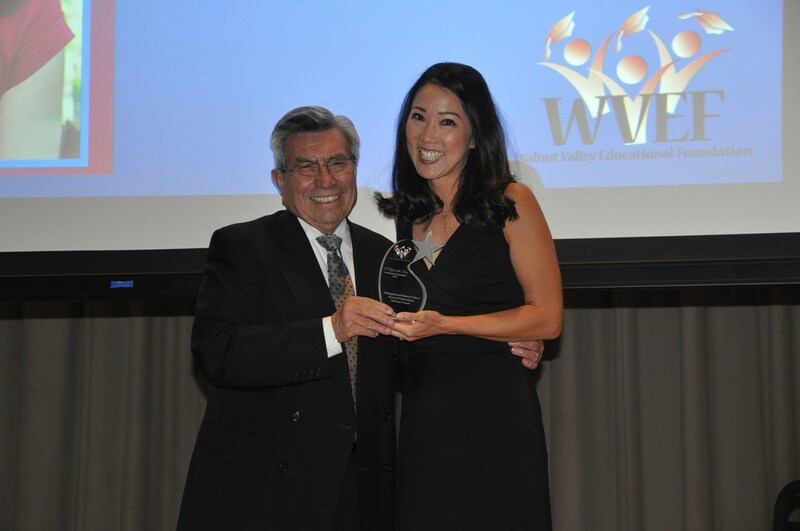 Shown with WVEF President Bob Pacheco, WVUSD Deputy Superintendent Dr. Matthew Witmer, and Board President Cindy Ruiz. Parent David Morales volunteers daily in the library at Suzanne Middle School. 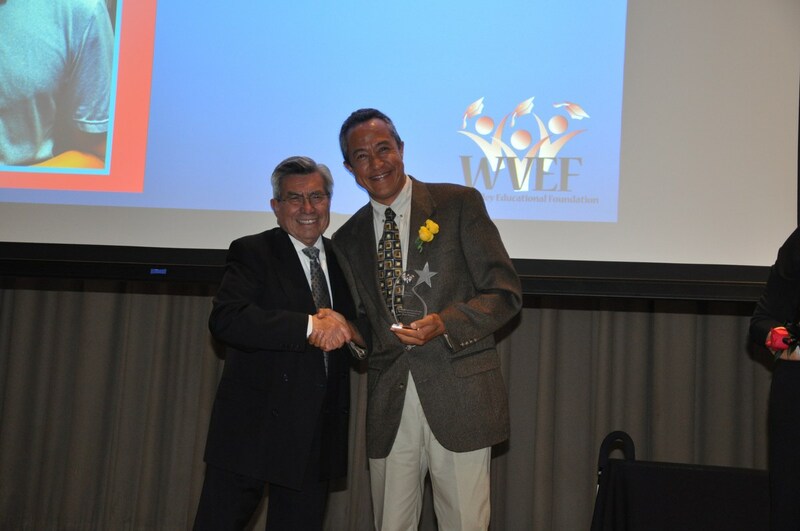 Shown with WVEF President Bob Pacheco. 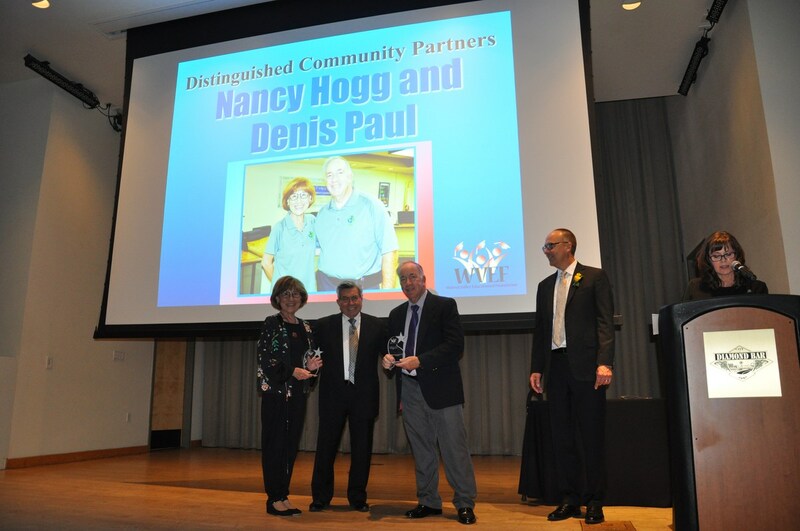 Retired WVUSD administrators Nancy Hogg and Denis Paul receive Distinguished Community Partner Awards. Superintendent Dr. Robert Taylor receives surprise Distinguished Leader Award during the WVEF A Night of the Stars gala.